Carry of the Month (COTM) is an ongoing feature for the BWIP blog and Facebook group. Each month one of the Volunteer Babywearing Educators (VBEs) will choose a wrap carry or carrier to showcase and write a blog post with instructions or videos. At our monthly meetings throughout the valley, we will designate time to demonstrate the carry or carrier in person and answer your questions. Feel free to join in on the fun! Post pictures of you trying out the COTM in the comments here or on the Facebook group. Check out the bottom of this post for the prize raffled off for participation this month! Start with you baby on your hip and a short portion of the wrap over your shoulder. Bring the long end of the wrap around your back and your baby's back. Pull the bottom rail up under baby's bottom to create a deep seat. While keeping tension on both ends, take the short end over the long end. Pass the long end over the short end, switch hands and bring the ends behind you. Pass the wrap over baby's bum and tie the ends in a double knot behind your back. You can either bring that pass over both of baby's legs, which is what Morgan does here. Or you can place the pass under baby's back leg and then tie. This carry also provides easy nursing access! 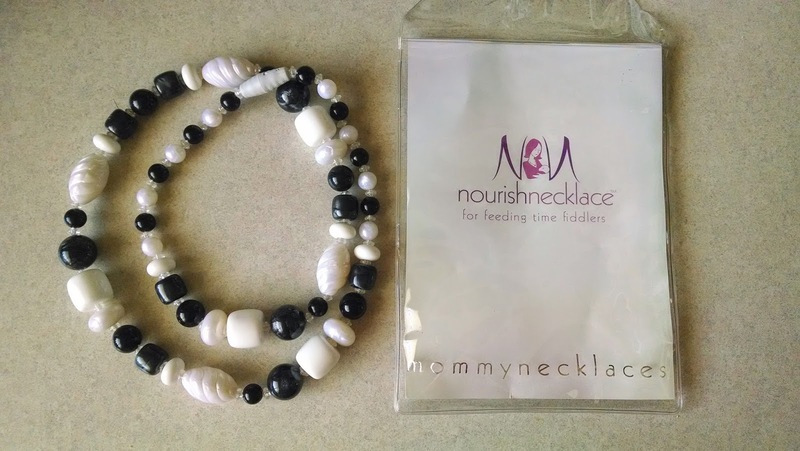 Our prize this month is a Nourish nursing necklace by Mommy Necklaces. To enter to win, simply post a photo of you trying out Poppin's Hip Carry on the COTM thread in our Facebook group, if you're not on Facebook email your entry to us at PhoenixBabywearers@gmail.com. At the end of the month we will draw a winner. To earn additional entries, you can post a new picture of you trying it out every day. As always, let is know if you are having problems or have questions. Carry on! Disclaimer: Any tutorials or advice given on this blog by Babywearing International of Phoenix or representatives of BWI of Phoenix are to be used at your own risk. Please use caution when attempting any of the carries highlighted on this blog and using any of the carriers discussed on this blog. Some of the information or advice may put some users of this site at risk due to health issues, physical limitations, or misuse. If you or your child have health issues or physical limitations, please discuss the appropriateness of the carry or carrier with your health care practitioner. BWI of Phoenix cannot be held accountable for any injuries sustained by the reader when attempting these carries or using these carriers. Changes are happening at Babywearing International of Phoenix! The Phoenix, AZ chapter of Babywearing International meets several times a month at various locations throughout the Valley. There is a lending library from which members can check out different styles and brands of carriers. Visitors to the meeting are welcome to try on and receive instruction on those carriers from our Volunteer Babywearing Educators. BWI Phoenix strives to educate and encourage parents and caregivers in carrying their babies and children. Each of the volunteers believes that babywearing promotes bonding, learning and growing together. You can join BWIP at any meeting for just $30/year (tax-deductible) and take advantage of member benefits, which include being able to borrow any carrier in our library for up to a month at a time.